I consider myself a gun junkie. I like doing gun maintenance. But I’m also a mechanic. I love mechanics, I like working on things, I like fixing things. Whether it’s a car or a firearm or something else, I like to understand how things work. They are mechanical objects with a lot of moving parts. I like tinkering with them and doing modifications. Your gun comes with an Owner’s Manual, commonly referred to as an operators manual, to guide you through gun maintenance. Whatever you pick up it’s going to come with a operator’s manual. In that manual it’s going to have safety considerations about how to load and unload your gun. It will also show you how to perform gun maintenance. This means how to clean it and lubricate it. It also means how to field strip it, then how put it back together and perform a function check. The field strip refers to taking your gun apart to the level of its major sub-components. This is for the purpose of cleaning and gun maintenance. So if we take a semi-automatic pistol, a field strip would typically involve removing the slide. It would involve taking out the barrel and the recoil spring assembly. We would also take out a magazine and take that apart. That would be the major sub-assembly. Typically for a field strip, it usually does not require any tools, or minimal tools at the most. We’re talking a punch or a screwdriver. Yet sometimes using a tool makes it easier, so you’re not hurting your fingers. Your operators manual for your firearm will lay out what the manufacturer considers a field strip and what they consider a reasonable level of disassembly in order to clean and perform gun maintenance on your firearm. A lot of them will put language in the manuals like “going beyond this level of disassembly or gun maintenance will void your warranty. Seek a qualified gunsmith or send it back to the manufacturer for warranty repair. That’s sound advice, especially if you’re not mechanically inclined. Also, if you don’t have that level of training and it’s a carry gun. The gun you rely on to save your life. When you don’t want to take any chances. If you want to go beyond that level of disassembly and assembly and function check, doing modifications, you may want to consider taking an armorer’s course. I worked for Sig for a lot of years. I loved teaching armorer’s classes. I like taking them as well. Why? Because I like working on guns. Armorer’s classes are great. Sometimes there are a half day, sometimes a full day, sometimes two three, four, or five days. It all depends on what gun it is. You really get a lot out of it. Do you not have a type of high-level mechanical ability? Can you not do something mechanically simple like change a tire? Have trouble changing the oil in your car? Then I would not attempt modifications. 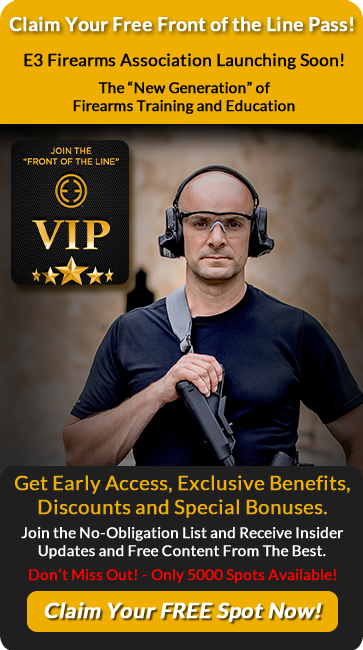 You probably don’t want to start digging into your gun or taking an armorer’s course. Because you’re probably going to be in over your head. But if you like that type of stuff and you have some mechanical aptitude, it’s a great thing to do. You learn a lot about your gun and it allows you to tinker with it and do modifications, upgrades things like that. Now in the military and law enforcement world, we require armorer certifications to work on professional guns. So you’re not going to work a police gun or military gun without having a formal certification. While following manufacturer’s recommendations or at least agency recommendations for gun maintenance. On the civilian side of things, there’s nothing that governs you. 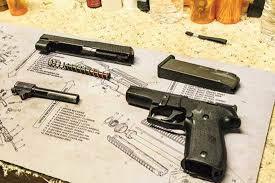 You can go to YouTube land and access a completely detailed disassemble for your Glock 19. You can certainly do that. There’s a ton of great resources out there to do that. These resources can help you with gun maintenance, too. Now, some guns are more difficult than others. Glock likes to mention they’re very simple guns and they’re very easy to work on. Other guns are a little more complex. AR 15s for instance, are pretty simple to work on, it’s straightforward. Though some parts can get a little challenging if you’re not familiar with how they work. I think you’ll find it enjoyable if you like the mechanics of guns. It allows you to do things like upgrade triggers, upgrade sights, and other cool upgrades. It goes without saying, cleaning and performing gun maintenance, especially with your carry guns, is important. However, the guns I devote to training and shooting sports, they’re pretty dirty. I just keep them lubricated. But the guns I carry on me for personal protection or for duty use is a different story. Those guns are cleaned. I perform gun maintenance on those properly. I’ve seen a lot of guys use a lot of different crazy stuff on guns. If you’re using a cleaner or lubrication product on your firearm, my recommendation is, don’t use them. Use products that are specifically designed to be used with firearms. Then use those products in accordance with the manufacturer’s recommendations. It’s best to have a product specifically for firearms. A bottle of good quality lubricant will last you five or 10 years. Think about how much you actually use it, not much. The same goes with gun maintenance cleaners. The bottom line is, try to use something that’s manufactured specifically for gun use. The reality is for me, with gun maintenance and cleaning my duty guns, it takes 10 minutes. It takes about 10 to 15 minutes to field strip it. I’m using a dry brush and getting the majority of the grit and carbon off all the parts. Then I’ll use a rag and polish those parts up. 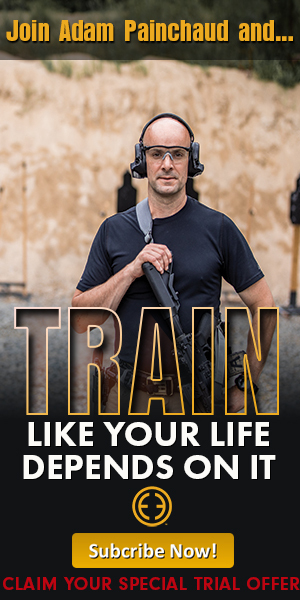 Adam Painchaud is one of the most highly regarded small unit tactics and advanced firearms instructors in America. He is Army Ranger and Airborne qualified. Adam is a senior non-commissioned officer with nearly 22 years of experience in both active duty and reserves. He has completed federal investigations as well as protective services missions worldwide including missions for the war against terrorism.